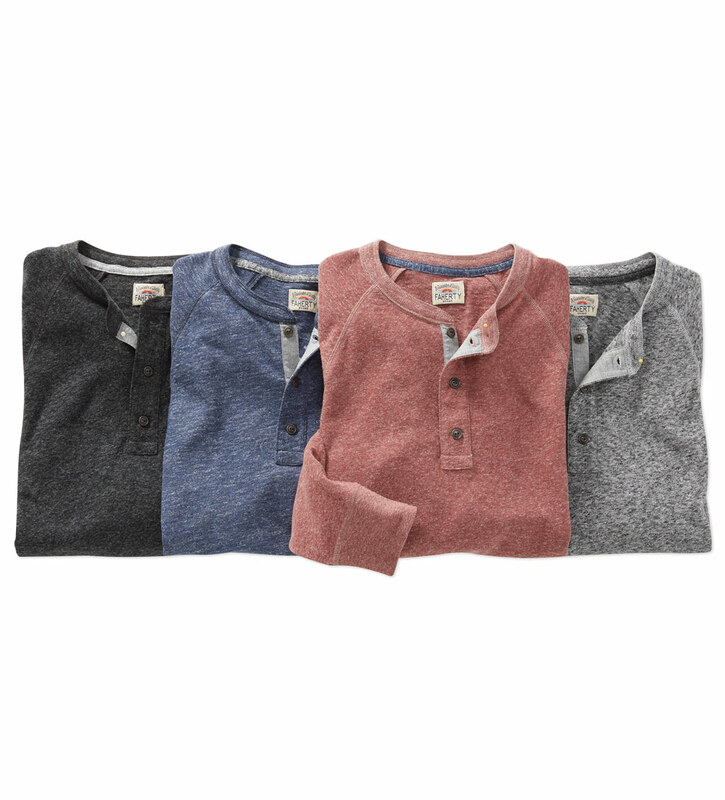 Comfortable classic in an ultra soft, washed, heathered blend. Rack stitch detailing, long sleeves, three-button placket, band cuffs, straight hem. 60% organic cotton/40% polyester. Machine wash. Imported.